The owner of Strand, the largest second-hand book store in New York, died Wednesday, but the emporium he built for decades enjoys iron health, although it looks less and less like the original bookstore founded in 1956. Fred Bass died at age 89 in his home in Manhattan because of a heart failure, and until a couple of months ago he had remained at the bottom of the cannon heading the same bookstore that his father Benjamin founded six decades ago and in which he started work with only 13. The first bookstore was located on Fourth Avenue and the beginnings were difficult. It began with an investment of 600 dollars (300 savings and another 300 loans) and a box of tobacco as a cash register, an austerity that contrasts with the current emporium, which amasses 2.5 million books and employs 220 workers. Shortly after, Strand moved to its current location, on the famous Broadway Avenue as it passed through Lower Manhattan, where it occupied half a ground floor. The business was growing and they first bought the rest of the ground floor and later, in the 70s, they got the top three floors. 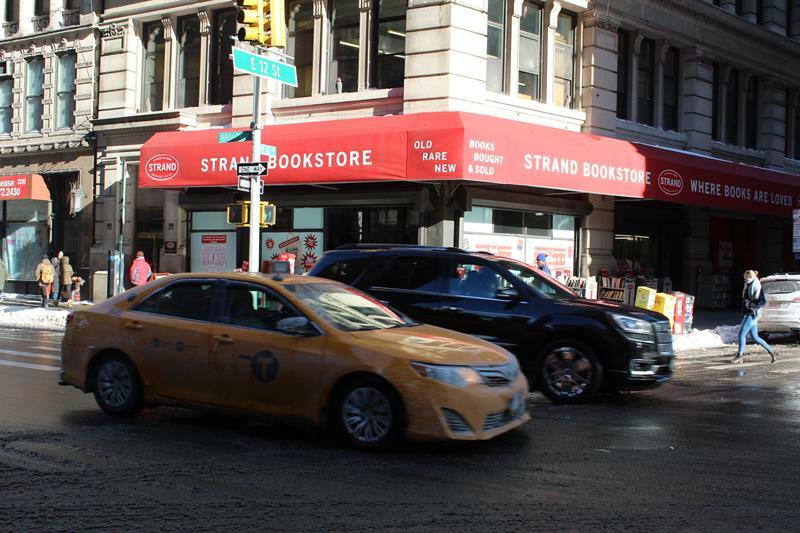 In the awnings of its façade, “Strand: 18 miles of books” is read. Although the slogan is still true (you can find thousands of second-hand books classified by literary genre, subject or language), the business adapted to the new times and its shelves began to be filled with merchandising of all kinds. The ideologist of the conversion was Fred’s daughter, Nancy, who recently took over the business. She was the one who proposed selling “totebags”, designed by the Strand workers, and which were very well received. Today they already sell T-shirts, postcards, notebooks, board games and gadgets of all kinds, few related to literature, which represent 15% of the income, as well as new books. The director of communication of Strand, Leigh Altshuler, recognizes that “they are not strangers” to the boom of the electronic books or platforms like Amazon or eBay, and for that reason they strive to harness the experience, and in the last years they began to organize literary events , conferences and book signings. In 2017, Strand saw sales pick up in poetry, political science, non-fiction, children’s literature and feminism. The bookstore continues to be one of the few iconic places that tourists and New Yorkers share, and it still retains Strand-loyal customers for five decades, intermingling with college students and bibliophiles from around the world. The system of Strand to hire its employees is something singular: the aspirants pass a test in which they must relate ten authors with their ten respective works. Bass used to remember that his bookstore was one of the few places where personal belongings could still be sold, except for the pawnshops, and since he did not have enough with the books that people brought to the bookstore, during the weekends he went to auctions to get hold of as many copies. At first, Fred Bass thought that his father was “crazy” for buying so many books without having sold before those he had, but finally understood that it was a logical decision: “You can not sell books you do not have,” he said in 2015 to channel NY1 . He soon inherited the same addiction for buying his father’s books, which he called “illness” in an interview with the magazine “New York”.